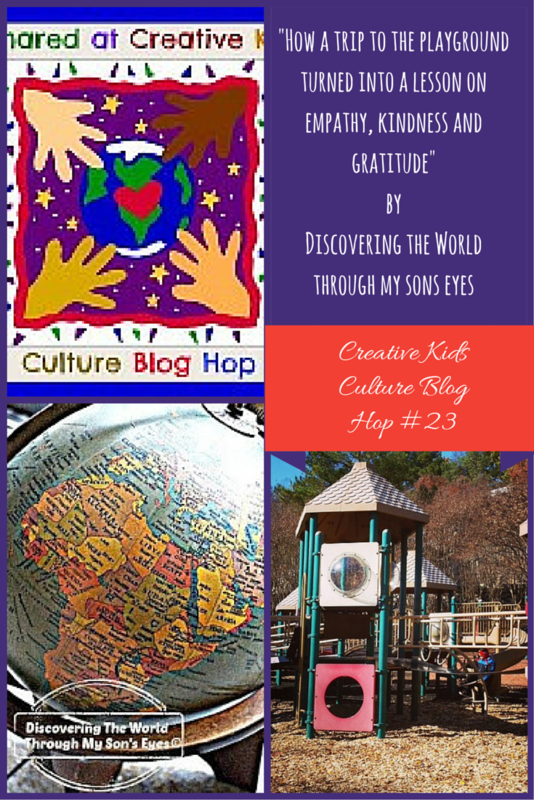 I am part of the Multicultural Kids Blog Creative Blog Hop for January and I wanted to share with you a post from the blog Discovering the World Through My Sons Eyes that resonated with me. She talks about taking a moment, like meeting a homeless man at a park and turning it into a teachable moment for her son about empathy, respect and kindness. It is a lovely look into the eyes of a child who does not judge others and genuinely wants to help. Good job, mama. This is a great lesson for us all. Please link below to read the post and also check out all of the other great posts on Multicultural Kids Blog.